The PIR-1PS+ pulse isolation relay is designed to provide one isolated solid-state Form A (K & Y) contacts from a single Form A input. 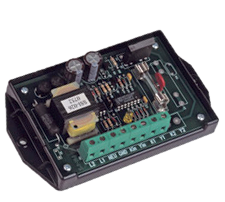 The PIR-1PS+ supplies its own isolated +13VDC wetting voltage to the pulse sending unit, usually an electric meter’s pulse initiator. The PIR-1PS+’ dual-dielectric barrier design uses two optical isolation barriers insuring maximum protection from electric disruptions between the input and output. 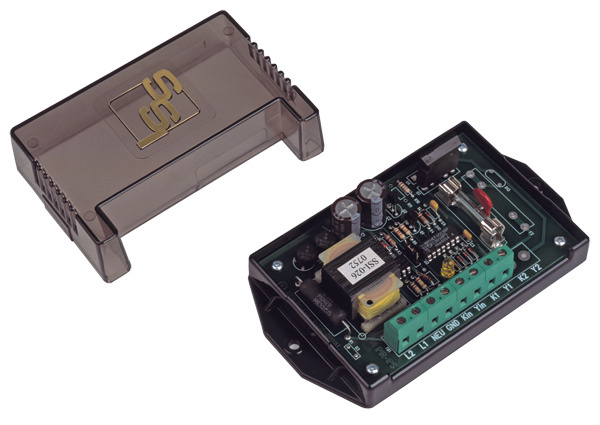 The microcontroller-based PIR-1PS+ has two operating modes: normal and fixed. In the normal mode, output pulses are the same time duration as the input pulse duration. In fixed mode, the output time is fixed regardless of the input pulse length. In both modes the PIR-1PS+ filters noise and transients at its input to prevent any false pulses at its output. If the incoming pulse is less than the specified time – 2,5, 10 or 20 milliseconds - the PIR-1PS+ assumes that the incoming pulse is noise and disregards it. Thus, any valid pulse rate of 25 pulses per second (50-on/50-off form factor) or less is accepted while static and induced noise is rejected. If used in a very noisy environment, the pulse acceptance window can be lengthened or shortened. The PIR-1PS+’ output closure time (in the fixed mode) is selectable for 100, 300, 500 or 1000 milliseconds, regardless of the input pulse’s duration. The output duration time may be easily selected by moving jumper locations. In the event that the input pulse rate exceeds the output time such that input pulses are arriving from the meter faster than the output can handle, the microcontroller stores these pulses and outputs them as soon as possible, so that no pulses are lost. Bright red and green LED indicators display the system’s status at all times thus allowing a rapid visual check of the system’s performance without requiring any additional test equipment. The input and output terminal strip connector is a “Euro” type providing excellent electrical insulation. The “K” lead of the PIR-1PS+’ outputs are fused to prevent damage to the relay under almost any condition a user might cause such as excessive current, incorrect wiring, etc. The PIR-1PS+’ robust solid state switching device is rated at 800V and 750mA giving maximum protection from lightning or transient voltage damage. Its built-in transient protection for the solid-state switch contacts eliminates the need for external or off-board transient suppression devices. All component parts that have power applied to them, with the exception of the input/output terminal strip are enclosed in a polycarbonate cover for maximum protection. The mounting base plate is also made of polycarbonate and offers excellent electrical insulation between the circuit and the mounting surface.